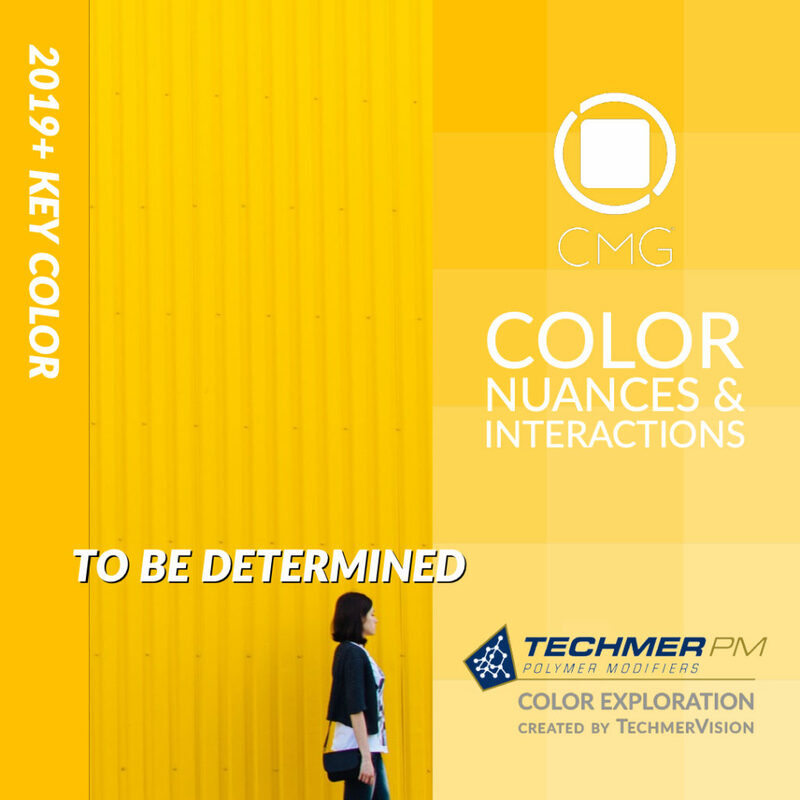 Techmer PM has partnered with Color Marketing Group® to bring members the TechmerVision Color Exploration TBD… (To Be Determined), an extension of the Color Alerts®. A color with varied facades and multiple meanings, TBD… represents tumultuous times, as well as moments of exhilaration. It embraces the trend of needing to balance the disquieting sense of what may lie ahead with the need for unbridled, spontaneous fun. Exploring Color Marketing Group’s Color Alert® monthly forecasted colors and the Key Colors, by using the TechmerVision digital color tool designers are able to explore color nuances and interactions of colors accurately and quickly during their product development process.